After writing twelve books over a period of forty years, I said I was finished. 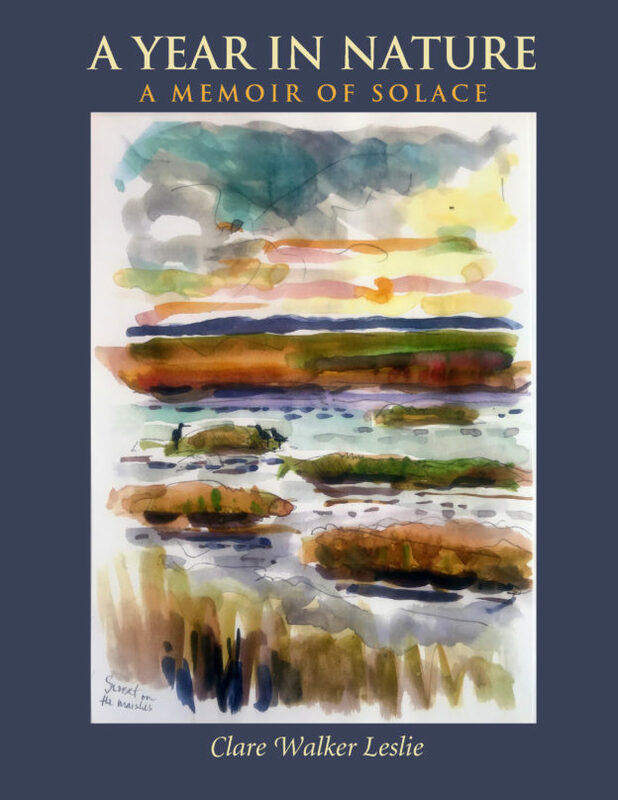 However, my life and the life around me has changed and I felt it time to offer to people pages from my own personal nature journals which have been my guides and deep sources for both learning and solace since I began writing books, back in l978. I decided to publish a book that is not instructive or text heavy. Beginning with the Winter Solstice and going through the twelve months of the year, I have chosen one hundred twenty -two pages from my own illustrated/hand written journals of the last three years revealing my reflections, doubts, joys, responses to both family, political, environmental worries and the deep solace I continually find going out into my local nature. As both urban and rural naturalist, educator, wife, mother, grandmother I open my journal pages as they are personal yet universal to all of us as we question our own lives in balance with the ongoing and continual cycles of nature’s seasons. Clare Walker Leslie is an internationally known author, wildlife artist, and educator. 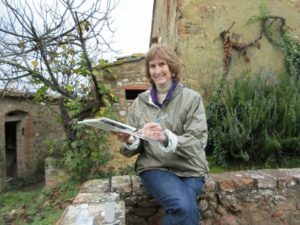 For many years, she has been connecting people of all ages to their local nature using drawing, writing, and direct observation outdoors. Her twelve books include: Nature Drawing: A Tool for Learning, Keeping A Nature Journal, Drawn to Nature, and The Curious Nature Guide. Clare lives with her family in Cambridge, Massachusetts and Granville, Vermont. Her work can be found at: ClareWalkerLeslie.com. Distributor: Midpoint Trade / IPG; also available through Baker & Taylor, Ingram, and other wholesalers. Individuals can order via Indiebound.org, online, or contact your local, independent bookstore.